Leather is a very unique form of art. It is very useful as well. But what we need to understand is that leather is a medium which we get from animals. So, we must not waste it. Use it for useful purposes but never try to harm the animals in lieu of the leather we need. We can even use materials other than leather to practice, so that we do not put much pressure on the nature. Animals are an important part of the ecological system we live in, and to survive we need the support of every member of the ecological system. Now let us make a small art work. Start by setting your image on the leather piece. Now using a slycer mark the outer frame of the object to be drawn. 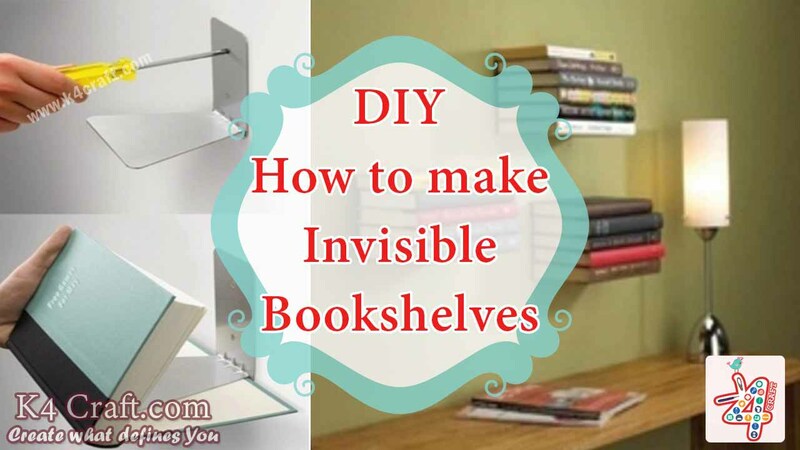 Now make the engraving finer using a better tool. The finer pressures give the art work its shades and fine lines. Thus this way the art work gets completed. For better understanding, watch this video. Now we will work with a background tool, two bevellers, and Cs Osborne cutters to mark the lines. It is a good practice to bevel the single line borders. Use the tool with little taps from the mallet. 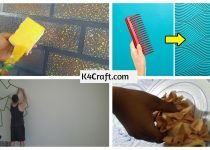 The intensity of the tapping must increase as you reach the ends. It will help add some definition to it. Then you can bevel afterwards with the finer tool. Just go on bevelling with finer tools until you are happy with the final result. For better understanding you may watch this video. 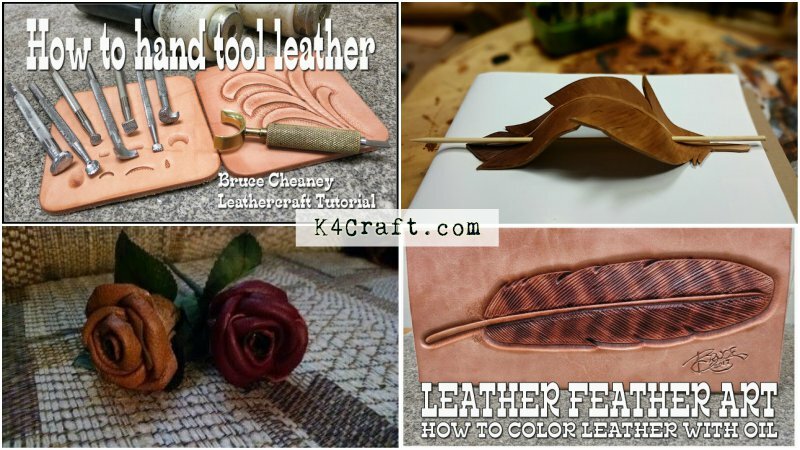 Hope you liked these leather art tutorials. 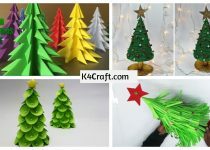 Keep visiting K4Craft for art and craft tutorials.